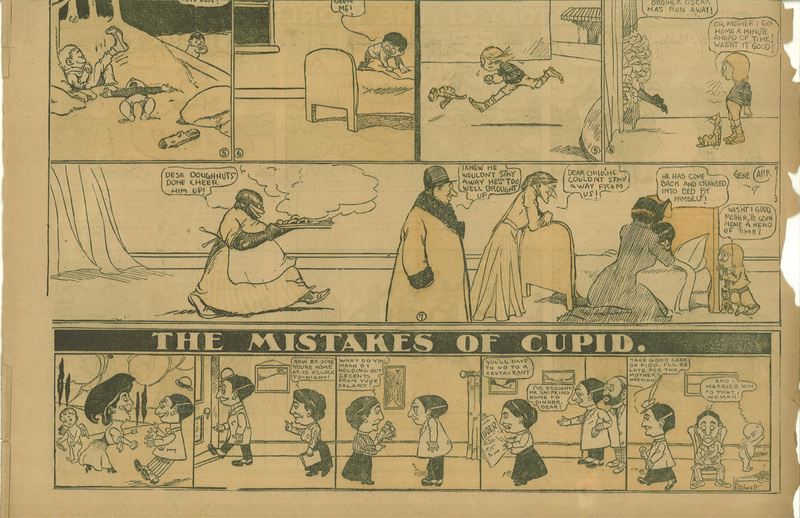 Here’s an example I scanned of The Mistakes of Cupid by Stilwell?. Also includes a fragment of a Gene Carr strip above it. 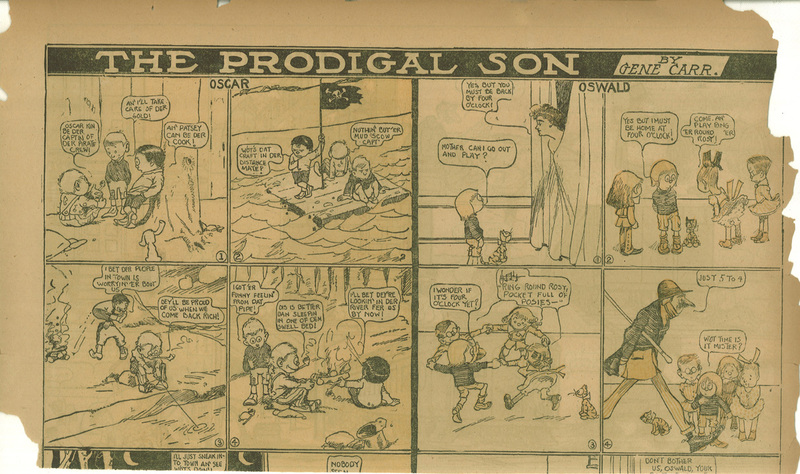 Here’s an example I scanned of The Prodigal Son by Gene Carr (best known for Lady Bountiful). Interesting how it is broken into two parts, one on the right and one on the left… it would seem this strip could have been the inspiration for Goofus and Gallant. Unfortunately, it is missing the bottom half of the strip… if anyone wants to draw the imagined conclusion to this, I will gladly post it. Click here to read examples of Home Sweet Home by Gene Carr at Barnacle Press. Click here to read some miscellaneous Atlanta Journal-Constitution Sundays by Gene Carr (and others) at Barnacle Press. Click here to read examples of Just Humans by Gene Carr at The Stripper’s Guide. Go here to read an example of Gene Carr’s Mr. Always Wright. Here’s a Google book scan of The Show Girl and Her Friends, illustrated by Gene Carr. 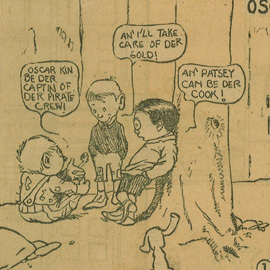 See some Gene Carr St. Patrick’s Day postcards here. Click here to read about Gene Carr on Wikipedia. 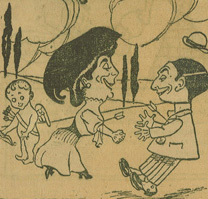 Click here to read more about Gene Carr’s Lady Bountiful at Don Markstein’s Toonopedia. See some more Gene Carr images at pbase.com.